Fire and smoke can cause damage to all areas of a home. Even if the fire was not in your home or apartment, smoke damage from a fire nearby can affect your home too! 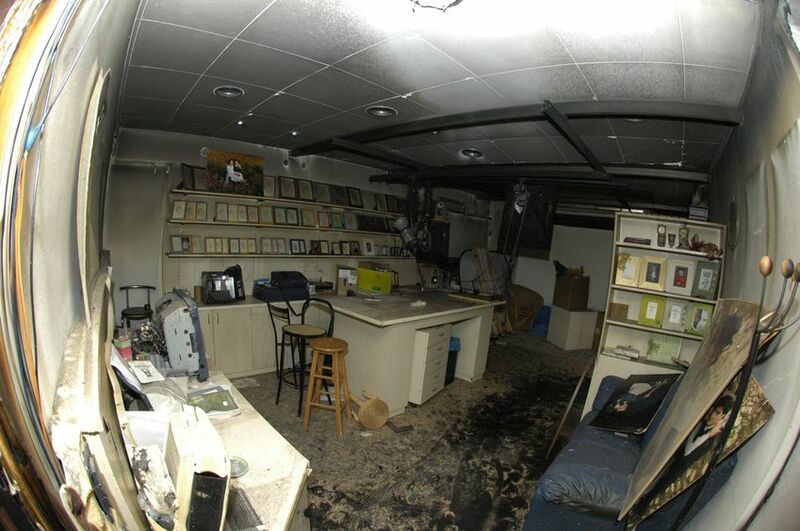 How does Laurens Fire and Smoke Damage Restoration work? Should you experience smoke or fire damage in your home, we will send a Project Manager to your home to assess the damage and make a recommendation for how restoration work is to proceed. After deciding on the best plan for your fire restoration needs, our team will get right to work! Typically, our fire restoration crew will be sent to your home to carry out the recommended cleaning. Our experienced professionals will wash and wipe down any interior structural part of your home to return it back to pre-loss conditions. Depending on the extent of damage, different supplies will be used to clean your walls, floors, ceilings, cabinets and counter tops. These supplies may include and variety of soot removing sponges, industrial strength solvents, scientific tools, brooms, mops, glass cleaner and more. Laurens Restoration is green company, so all of our fire restoration products are environmentally friendly. Contact us to get more information about specific cleaning processes or chemicals used in the smoke and fire damage restoration process. Our FAQ page may also answer more questions for you! Our aim at Laurens Restoration, Inc. is to provide thorough, professional, and cost-effective fire restoration services at a time when you need it most. We will quickly and reliably work to restore your life, home, and possessions. We also provide Flood Restoration services for water damage.